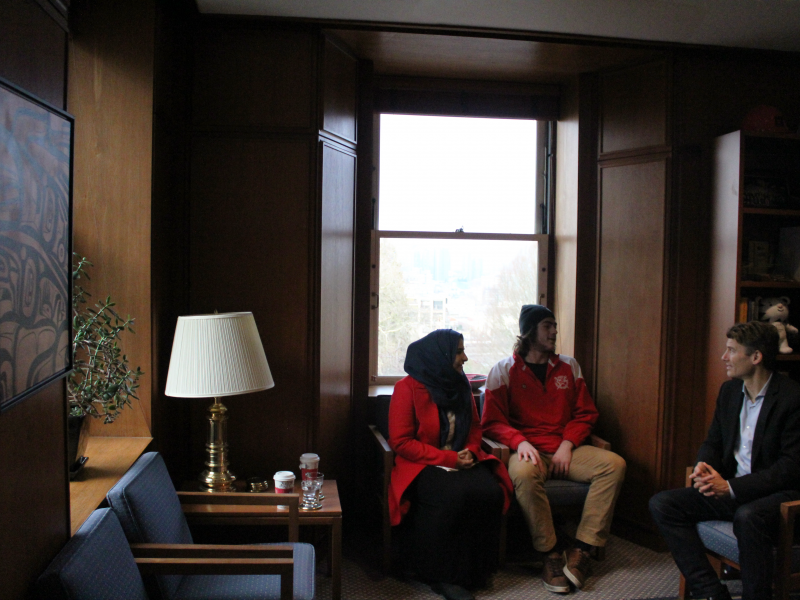 On December 15th, Noor Fadel and Jake Taylor visited city hall to meet with Mayor Robertson to speak about effective ways to increase protection on public transportation. Noor and Jake retold their story. Noor explained that the attacker approached her with an aggressive tone, loudly threatening and cursing at her. The verbal attacks soon escalated into physical assault. Only one citizen protected Noor despite the train containing several passengers who passively observed the event unfold. Noor and Jake stated that none of the passengers present have come forward as witnesses yet. After hearing their story Mayor Robertson suggested the formation of an awareness campaign. Noor and Jake agreed on the importance of education about preventing assaults by taking action. They stressed the need for protecting the victim in several ways. The two explained that passengers should take advantage of SkyTrain safety methods by pressing the yellow strip, or pushing the speaker button to speak to security. They recommended on lookers call the police and film the incident to provide evidence. The pair then proposed installing CCTV’s in the trains to quell the voices that claim an incident as false because of insufficient evidence. 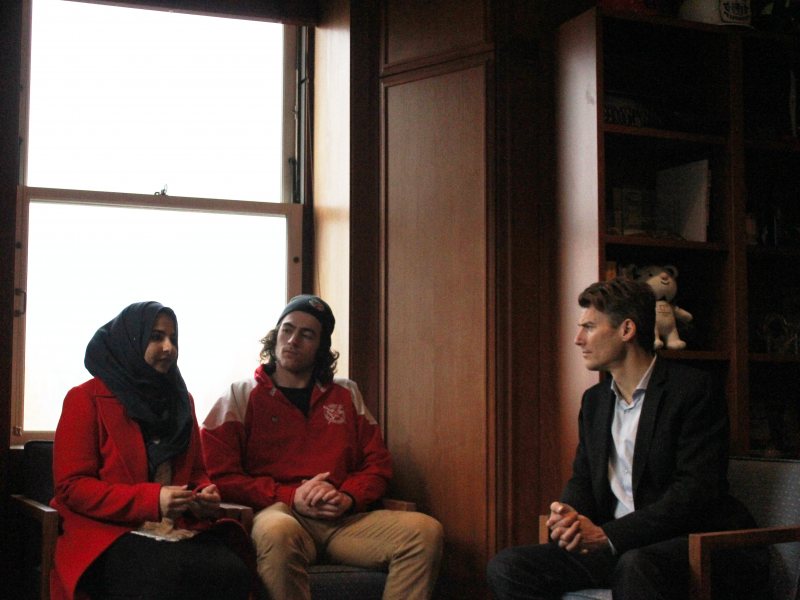 Mayor Robertson proposed the idea of the pair creating a documentary about the incident to shed light on preventing a bystander effect. 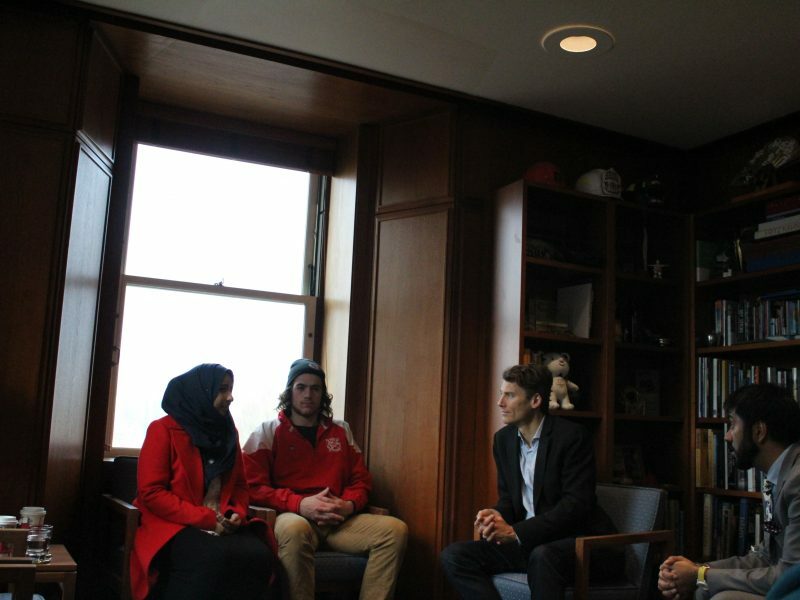 Noor and Jake responded positively to the suggestion stating that speaking out about their story may better inform the public to take a stand together and help keep the community safe. 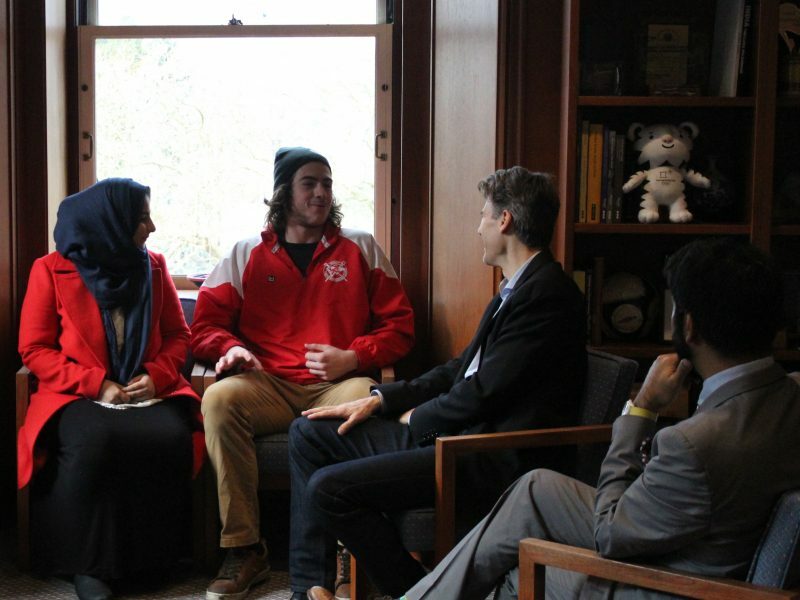 Be the first to comment on "Muslim teen and transit hero discuss SkyTrain safety with Vancouver Mayor"